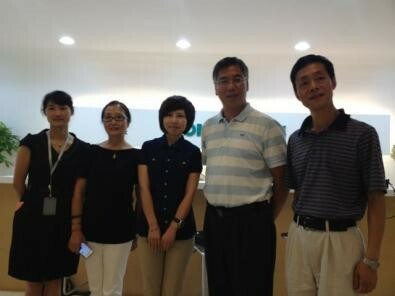 The Zhejiang Chamber of Commerce (ZCCA) visiting group surveyed at Honyar Electrical Co.,LTD on Aug. 25th. The president of ZCCA Mr. Dai introduced things of ZCCA and electrical products in the U.S. and hoped to bring electrical business to the U.S. market. Honyar Electrical Co., LTD is part of China Potevio Co., Ltd, established in 1981. Over 30 years’ development, Honyar has become a supplier for professional electrical connections and electrical construction control systems. It is one of the most important companies in China.